Two independent crop input retailers in northeastern Alberta will become part of Richardson Pioneer’s ag retail chain starting Friday. Richardson on Monday announced it will buy Webb’s Crop Services Ltd. at Vermilion and Agro Guys Inc. at Forestburg, about 165 km southwest of Vermilion, for undisclosed sums. Both deals are expected to close Thursday, with employees joining Richardson Pioneer on Friday, the company said in a release. Winnipeg-based Richardson described both businesses as independent, full-service retail crop input centres which provide local customers with seed, fertilizer and crop protection products. Webb’s Crop Services is one of the Webb’s family of businesses in the Vermilion area, including New Holland equipment dealer Webb’s Machinery and auto dealer Webb’s Ford. It expanded into the crop input business starting as an Elephant fertilizer dealer in 1943. Agro Guys started operations in 2004 and expanded to its current site at Highways 53 and 36 in 2009, where it set up its dry fertilizer blending facility plus a larger chemical shed and added more anhydrous delivery units and wagons. 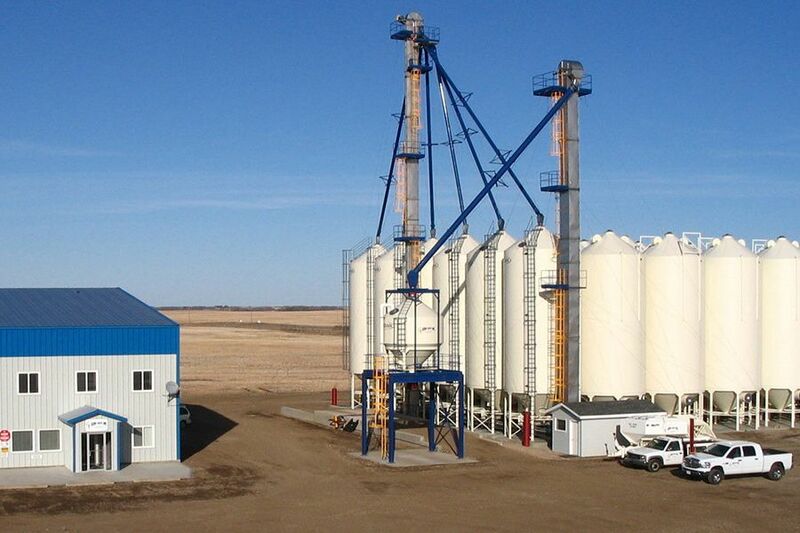 Both operations will provide customers with inputs and services in their local catchments, Richardson said, but noted producers in that region of Alberta also have access to grain handling and merchandising through Richardson Pioneer’s ag business centres at Lamont, Lavoy and Legacy Junction and at Marshall, Sask. Privately-held Richardson bought a southeastern Saskatchewan input dealer in January, opened another new retail site in southwestern Saskatchewan this year and has two more Saskatchewan retail sites under construction. The company is “focused on aggressively growing our retail crop inputs network across the Prairies,” Tom Hamilton, its vice-president for agribusiness operations, said in Monday’s release.